Bilal was called to the bar in 2014 and specialises in employment and industrial relations law and workplace health and safety law. He appears led and unled in all Federal and State courts and tribunals in which such matters are litigated, both at first instance and on appeal. Bilal is briefed and accepts briefs in matters throughout Australia. Bilal has appeared for many of Australia's largest corporations, employer associations and government entities. His expertise has been recognised in the 2017 Doyle’s Guide where he has been included in the list of leading employment and workplace safety junior counsel. Prior to coming to the Bar, Bilal was a Special Counsel at Ashurst (formerly Blake Dawson) in its Sydney and Brisbane offices. 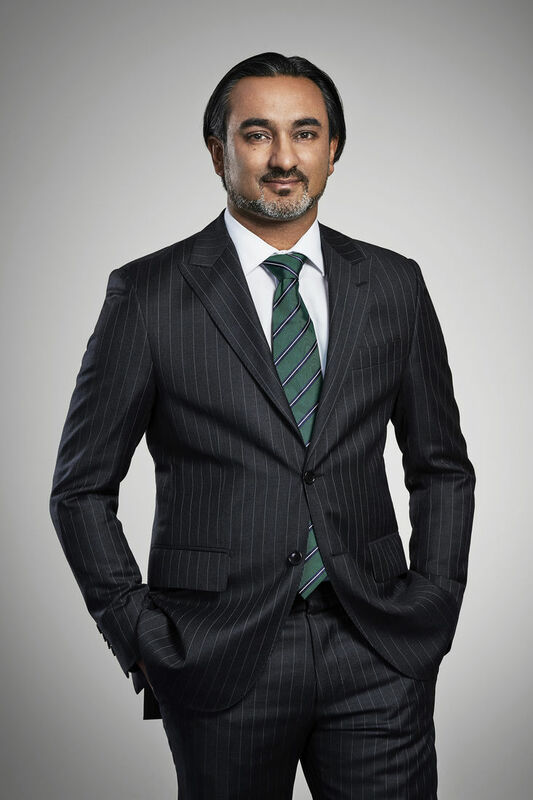 During his 11 years with the firm, Bilal worked across a range of industries, including mining and resources, maritime, building and construction, manufacturing and transport. Bilal was also a lawyer at PricewaterhouseCoopers Legal where his work was focussed on safety prosecutions, defences and investigations. Given his experience, Bilal is able to approach matters with a strategic focus and having regard to the legal and commercial objectives of the client. Bilal also regularly presents at seminars and participates in panel discussions. Construction, Forestry, Mining and Energy Union (New South Wales Branch) v Acciona Infrastructure Australia Pty Ltd and Ferrovial Agroman (Australia Pty Ltd t/as the Pacifico Acciona Ferrovial Joint Venture  NSWIRComm 1029: Appeal relating to right of entry under safety legislation. Mahony v Dr White, Executive Director of Catholic Schools and legal representative of the Catholic Education Office, Sydney  FCFCA 160: (Led by M Kimber SC): Judicial review applications relating to decisions of the Full Bench of the Fair Work Commission. Adcock v Blackmores Ltd and Ors  FCCA 265: (Led by I Taylor SC) Claims in the Federal Court relating to repudiation of contract and entitlement to redundancy under enterprise agreement. El-Khatib v State of NSW South Wales and Secretary of the Department of Transport, Case Number 2016/00138909: Injunctive relief in the Supreme Court of NSW preventing termination of employment. BGC Partners (Australia) Pty Limited v Hickey  NSWSC 90: (Led by R Goot SC and S Prince) Restraint of trade and interpretation of employment contract. Hardwick v Qantas Ground Services Pty Ltd 2016 WAIRC 00713: Underpayment claim and construction of an enterprise agreement in the Western Australian Industrial Magistrates Court. Qantas Airways Limited v McRae  FWCFB 4033: Appeal relating to jurisdictional objection to an unfair dismissal application. TNT Australia Pty Ltd T/A TNT v Martin  FWCFB 1510: (Led by F Parry QC): Appeal of a dispute relating to the inherent requirements of a bulk driver. BHP Coal Pty Ltd T/A BMA v Schmidt; Schmidt v BHP Coal Pty Ltd T/A BMA  FWCFB 72: Appeal against decision concerning termination of employment for safety related incident. Construction, Forestry, Mining and Energy Union v Port Kembla Coal Terminal Limited  FWCFB 4075: (Led by J Kirk SC) Appeal against decision concerning workplace drug testing. Construction, Forestry, Mining and Energy Union v Endeavour Coal Pty Ltd  FWC 1763: Arbitration relating to the construction of an enterprise agreement. David McLachlan v Illawarra Coal Holdings Pty Ltd (U2017/4496): (Led by C O'Grady QC) Unfiar dismissal claim relating to termination for unlawful industrial action. Decision Reserved. Commonwealth of Australia (represented by the Department of Finance on behalf of the Special Minister of State  FWCA 2103: Application to approve Commonwealth Members of Parliament Staff Enterprise Agreement which was opposed by various unions. Construction, Forestry, Mining and Energy Union v Port Kembla Coal Terminal Limited  FWC 3852: Arbitration relating to interpretation of enterprise agreement and consultation obligations. Frethey v Anglo Coal (Dawson Services) Pty Ltd  FWC 1026: Unfair dismissal claim relating to termination for a safety incident at a coal mine. Rouady v Qantas Airways Limited  FWC 33: Unfair dismissal claim relating to termination for a safety incident. Construction, Forestry, Mining and Energy Union v Wagstaff Piling Pty Ltd  FWC 7780: Challenge to proposed protected action ballot of employees to engage in protected industrial action. Construction, Forestry, Mining and Energy Union v Port Kembla Coal Terminal Limited  FWC 2384: Dispute about a requirement for urine sampling procedure for workplace drug testing. Pettet and Ors v Mt Arthur Coal Pty Ltd  FWC 2851: (Led by R Warren) Termination of employment of employees on the ground of genuine redundancy. Smith v Mt Arthur Coal Pty Ltd  FWC 4194: Unfair dismissal claim relating termination of employment for a safety incident. Construction, Forestry, Mining and Energy Union v Port Kembla Coal Terminal Limited  FWC 5903: Dispute relating to interpretation of enterprise agreement and leave provisions. Panera v Qantas Airways Limited  FWC 4527: (Upheld on appeal): Unfair dismissal claim relating termination of employment for serious misconduct.